The history of the universe still has many mysteries we have yet to fully understand. A new collaboration between HPE’s newest supercomputer and Stephen Hawking’s research group COSMOS hope to answer some of these questions. Hewlett-Packard Enterprise’s (HPE) supercomputer, the new Superdome Flex, is more than an impressive, technological marvel. It’s a tool capable of unlocking some of the most complex mysteries of the universe, and Professor Stephen Hawking’s Centre for Theoretical Cosmology (COSMOS) will be using the computer to do exactly that. The supercomputer’s high-speed memory can hold a staggering 48 terabytes of data. Because this data is stored in the newly-designed memory system instead of a more traditional storage system, the computer can process enormous amounts of data at lightning speed. This is great news for COSMOS, as they plan to sort through 14 billion years of data with the goal of filling in gaps in our knowledge of the physical history of the universe. This computer might be just the beginning of this quest for knowledge, as it’s merely the precursor to “The Machine,” — HPE’s highly anticipated “ultimate vision” for computing. Their prototype will supposedly be able to store 160 terabytes of data in memory and can be built in a similar way to the Superdome Flex. Until this ambitious model becomes a more realistic option, Professor Hawking’s research group will use the immense capabilities of their existing supercomputer in their quest to discover more about the universe. COSMOS has already been making use of one HPE supercomputer and has been utilizing supercomputing power since 1997, their recent project is a natural progression for the researchers. Still, they hope that the latest advancement will allow them to achieve more than they ever have before. With the Superdome Flex, COSMOS intends to create the most detailed 3-dimensional map of the early universe to date. They hope to show the location and position of cosmic bodies like supernovas, black holes, galaxies, and much more. 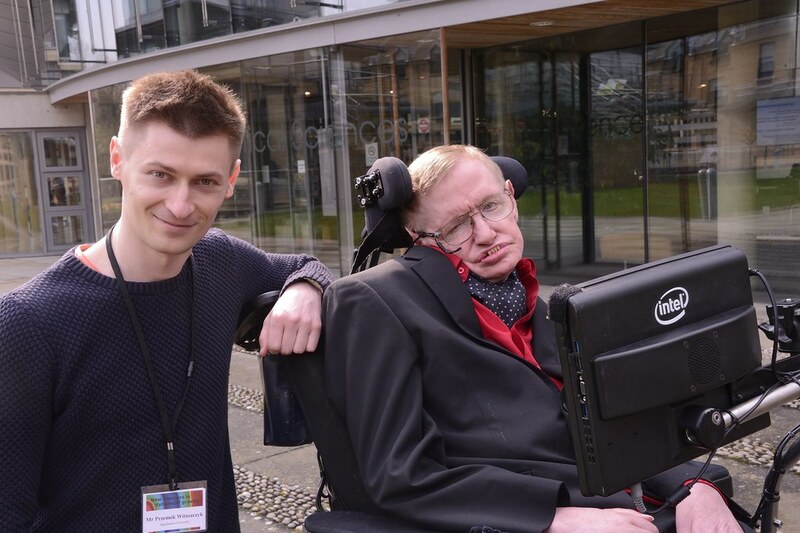 The project is officially named “Beyond the Horizon – Tribute to Stephen Hawking. It was dubbed as such because “Hawking is a great theorist but he always wants to test his theories against observations. What will emerge is a 3D map of the universe with the positions of billions of galaxies,” said Professor Shellard in a Cambridge press release. The team hopes that this combination of data will also allow them to more deeply peer into, and understand dark matter and dark energy, and their influence on the geometry, structure, and inner workings of the universe. In addition to advancing our knowledge, the 3D map could potentially confirm existing theories about the universe. From our current understanding of black holes to the age of the universe and the standard model, the insights the map provides could challenge much of what we believe to be true about our universe. It may not be what leads humankind to a universal “theory of everything,” but it will allow physicists to get closer than humanity has ever come before.